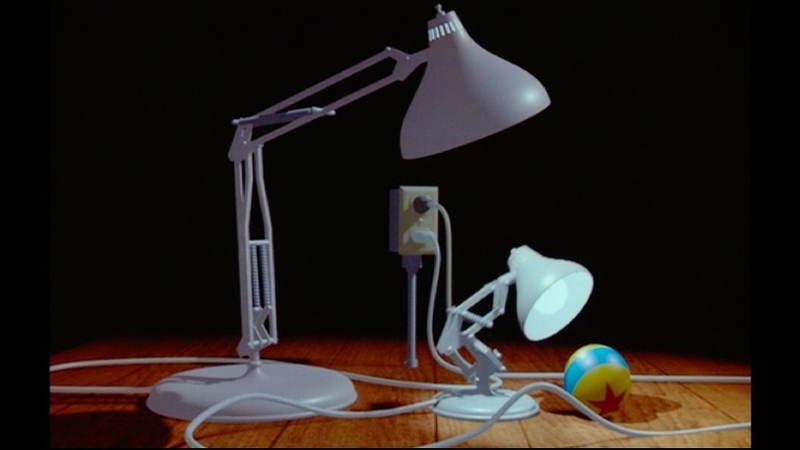 As a Pixar fan, the shorts have always been a special part of watching a Pixar Feature Film - but, do you know the story behind the Pixar Shorts? How fast were the computers? What short is popular in Europe? How big was Pete Docter's hair? All of these questions (and more) will be answered in my review of The Pixar Shorts: A Short History, as seen on the Pixar Short Films Collection (Volume 1) . 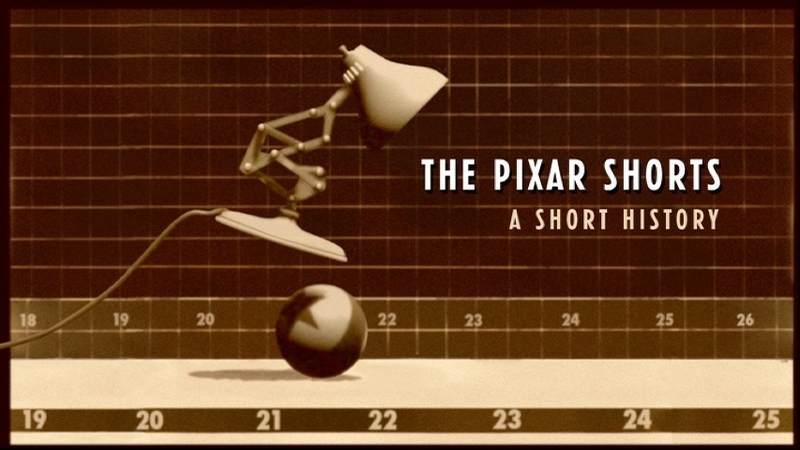 Note: this video was about 20 minutes long and gave a brief history on the Pixar Shorts. 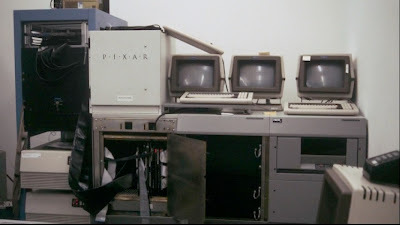 In the beginning, before Pixar, was...well Pixar, just with a different name - at the time they were the Computer Division of Lucas Films. 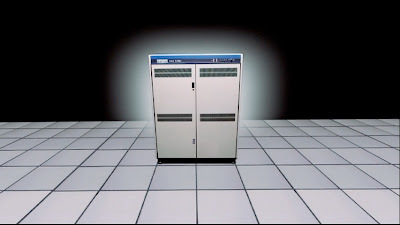 "We had a Vax-780, which is a million instructions per second, which is less than 1% of what you would find in a modern day PDA. 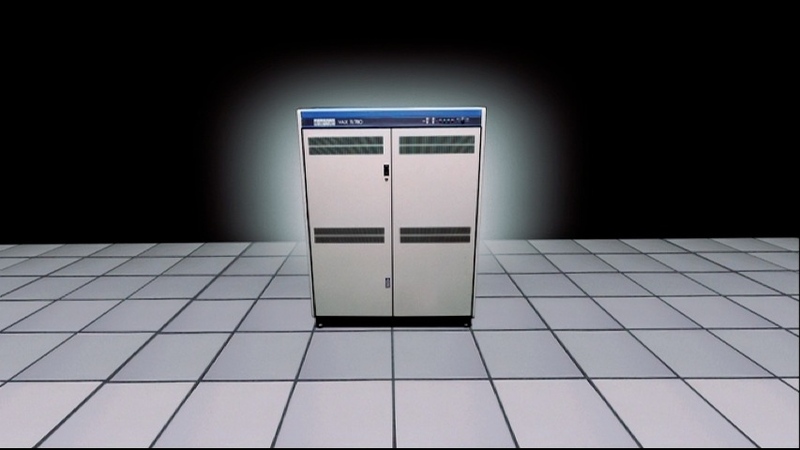 The computer in a cell phone was 100 times faster than the one we had at Lucas Films" said Pixar co-founder Loren Carpenter. The first short idea came from Alvy Ray Smith - that short was The Adventures of Andre and Wally B. 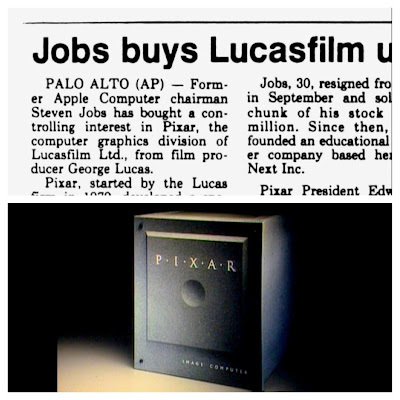 It was around this time when Ed Catmull went out and hired John Lasseter to come and animate for the Computer Division at Lucas Films. The team asked John to create a character based on simple geometric shapes, spheres, cones and boxes. John had sketched his version of Andre and had his heart set on a soft-edged character rather than a rigid-looking character. Alvy had stated that the technology wasn't really there to do soft-edged, model-able characters. John really wanted to get the characters body to bend as he felt that it would express more emotion if it could move in a bendable way. 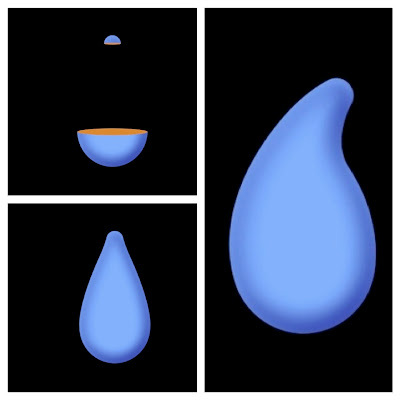 John mentioned that he went to Ed Catmull and in classic "Catmull style" said "Hmmm, let me think about this" and he went away, came back and he had invented the teardrop. The bottom was a hemisphere the top was a hemisphere and the computer filled in the middle and it bent. John was so inspired by his animation of Andre that he came up with a second character - a bumblebee with big jellybean/water balloon feet named Wally B. 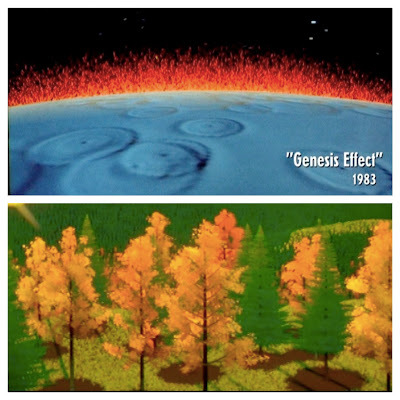 Bill Reeves created the particle system that allowed the control of millions of individual particles - such as leaves on trees. Bill also developed the Motion Blur effect that was first used in Andre and Wally B - which made the difference in becoming commercially successful and not. 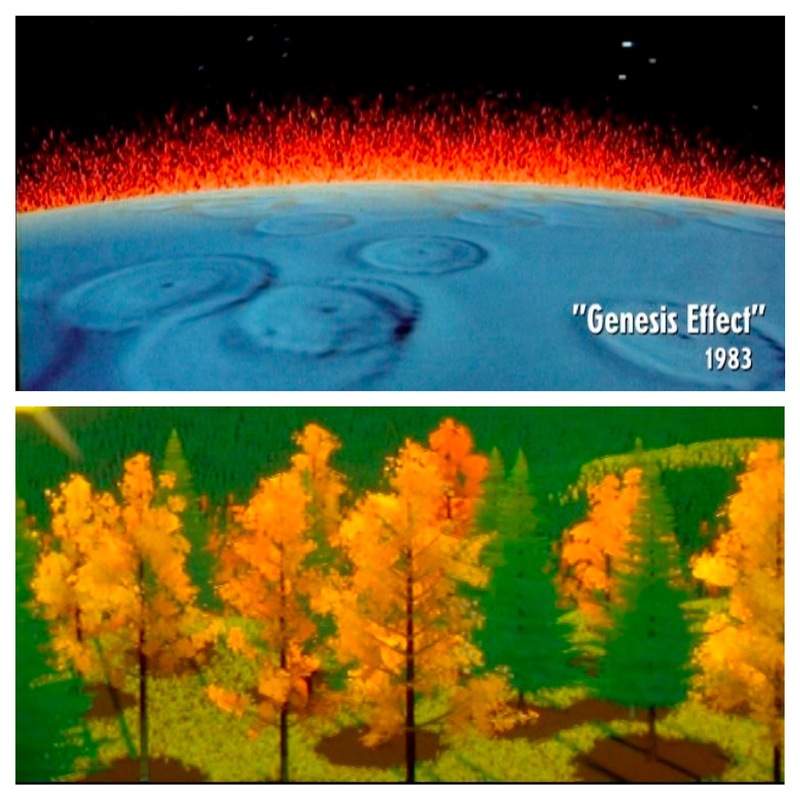 The team used these effects on the short so that they could show off these animation milestones at the annual SIGGRAPH conference. During the conference, which was held in a large auditorium, there were previews of logos that danced around the screen - albeit all circled digital animation. The crowd was loving what they were seeing, the Andre and Wally B. team sat in anticipation - then cheers erupted. 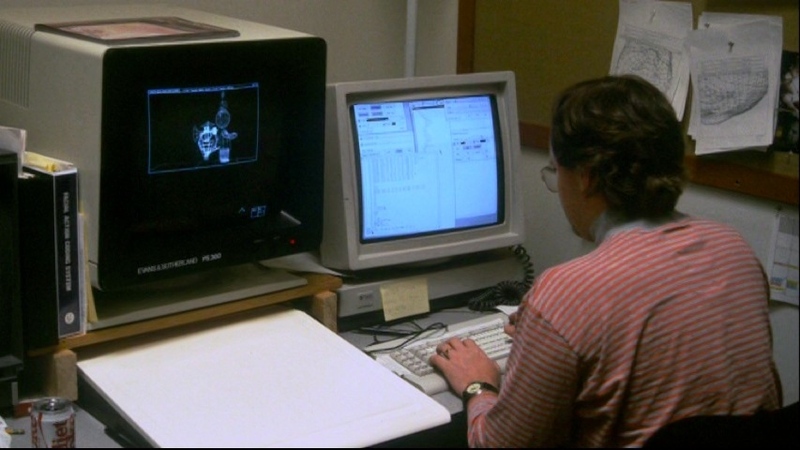 The team didn't finish rendering the short film - so part of it was in wire frame, but John said that the audience didn't even notice, they were captivated by what the team had accomplished. When Steve Jobs bought the computer division of Lucas films in 1986 (officially forming the company Pixar), the company mainly sold computers and software - though still in the background was the animation group. 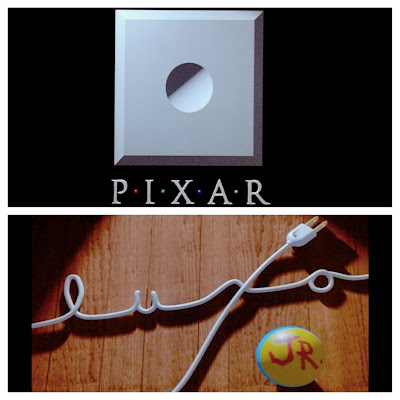 (To read more about the Pixar computer - click to see what Loren Carpenter gifted the Computer History Musuem). 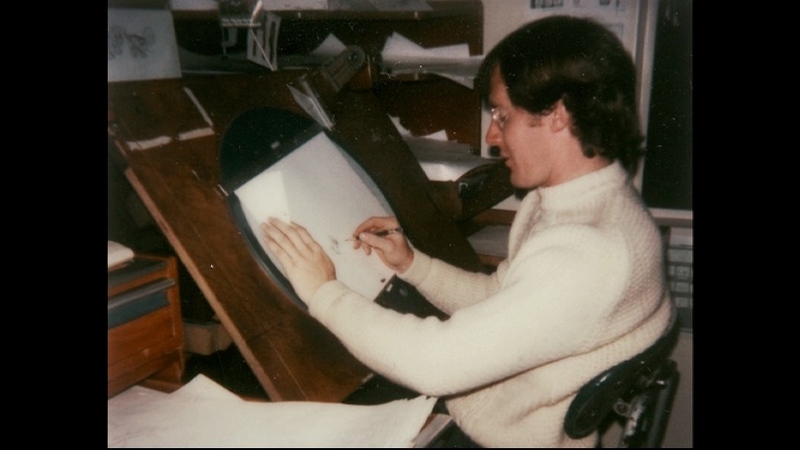 In the beginning of Pixar, Bill Reeves was teaching John Lasseter how to model. 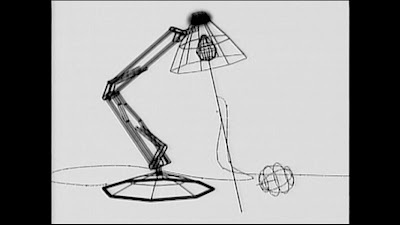 John sat at his desk, which had a Luxo lamp sitting on it, staring at it he noticed the simple geometric shapes and began to model the lamp. Moving the lamp up and down, side to side, the lamp began to look alive. Around this time is when Ed Catmull came into John's office and they discussed creating a new short to show off at the upcoming SIGGRAPH conference - officially announcing themselves as Pixar. While John was working on the short, Tom Porter walked into the graphics room with his son Spencer. 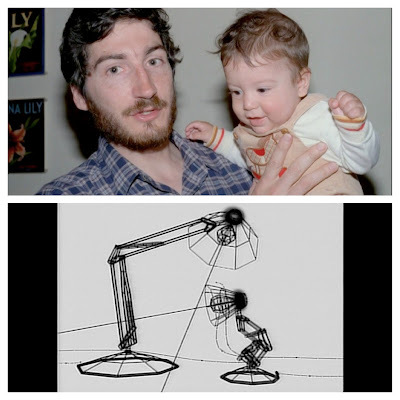 John took notice of the proportions of Tom compared to his son and that's when the idea of the "baby" lamp Luxo Jr. came about. 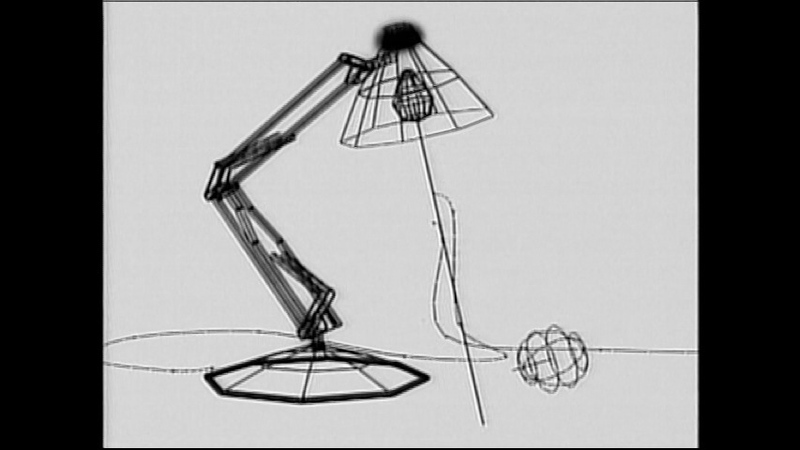 When Luxo Jr. premiered at SIGGRAPH, Craig Good said "As soon as the lamp moved people started going crazy and then the ball came in and they were going nuts!" Before the end of the minute and a half short, the audience were on their feet in a standing ovation. John stated that a fellow computer enthusiast came over and asked him if the lamp was a "Mom" or "Dad", John said to himself, "we did it". The Pixar team wanted to convey emotion through the story of their animation and they did it! An interesting side note on the production of Luxo Jr. was the ripples of the cord and the rolling of the ball. John stated that it was the hardest thing to do on the short. There he sat in front of all these expensive computers while holding a calculator and using his simple "art school math" trying to figure out how if a ball was "this" size and is moving "this" fast - how far would it move. John then went to Eben Ostby and asked, "Please can you do something with the computer to help me with this"? 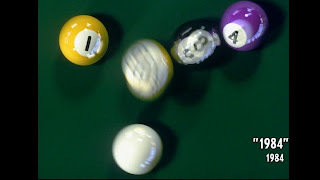 Eben in return created a procedural animation so the ball that John animated would follow the path he created as well as make the ball rotate accurately. However, there was no such luck with the ripples of the cord, John had to animate those by hand. Loren Carpenter explained how not everyone had computers in their office, like we do today. There was one animation station that cost hundreds of thousands of dollars. The next short that the Pixar team did was Red's Dream. This is what John Lasseter calls Pixar's blue days, as the short was set on a rainy night in a city with a somewhat sad ending. Although this short was more melancholy, John noted that Red's Dream is very popular in Europe. The third Pixar short was Tin Toy, and by a consensus of the team was the hardest of the shorts so far. 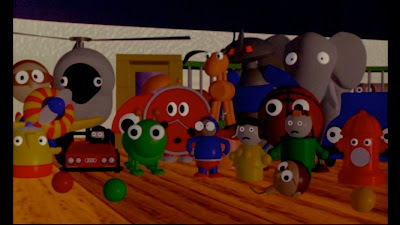 This short was the first time the team used Renderman, the first time they introduced a human character (the scary baby) and first time they showcased soft shadows. 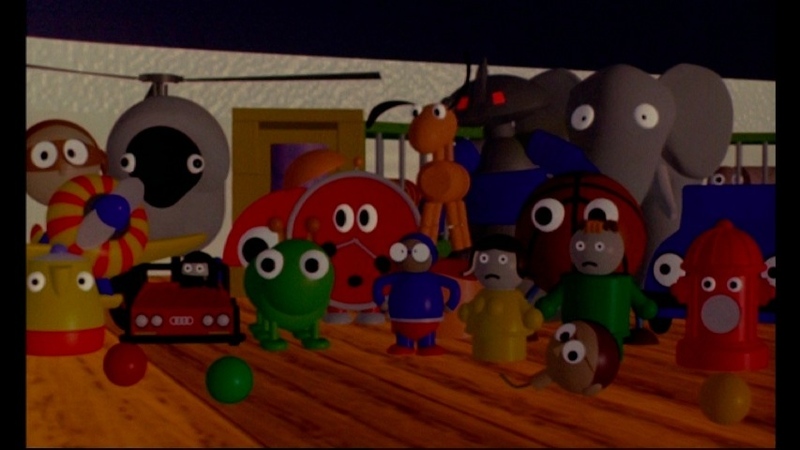 In the scene where the Tin Toy hides from the baby under the couch, everyone at Pixar who could model had to create a toy. 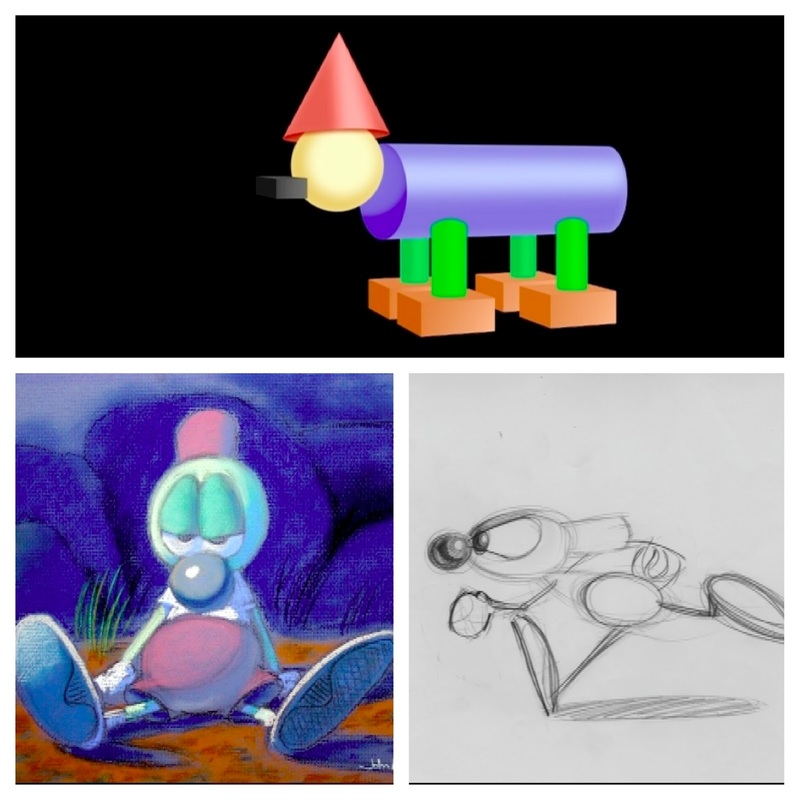 Craig Good created the airplane, Loren Carpenter created the fire hydrant and Ed Catmull created the elephant. 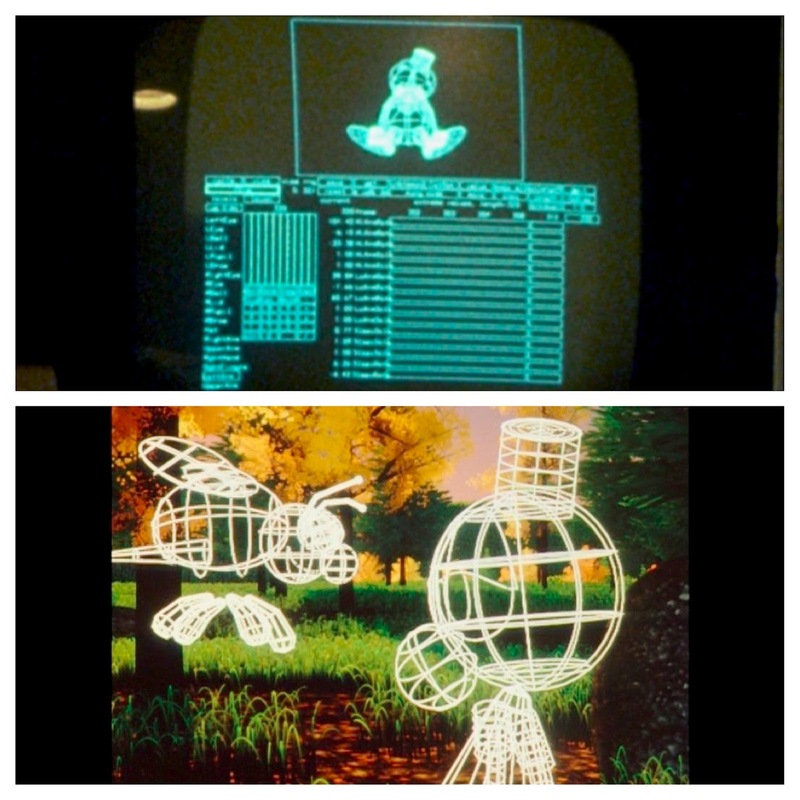 Tin Toy was the first 3D computer animation to win an Academy Award. 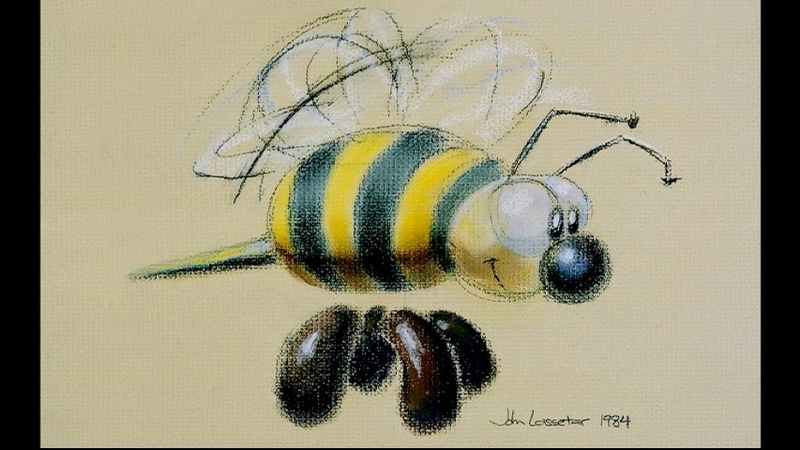 John Lasseter said "The most important thing that Tin Toy did was plant the idea in our heads, the idea of toys being alive, and out of that grew Toy Story." Just after the release of their fourth short Knick Knack, Pixar was experiencing some dark days in the animation department because the shorts did not bring money into Pixar. 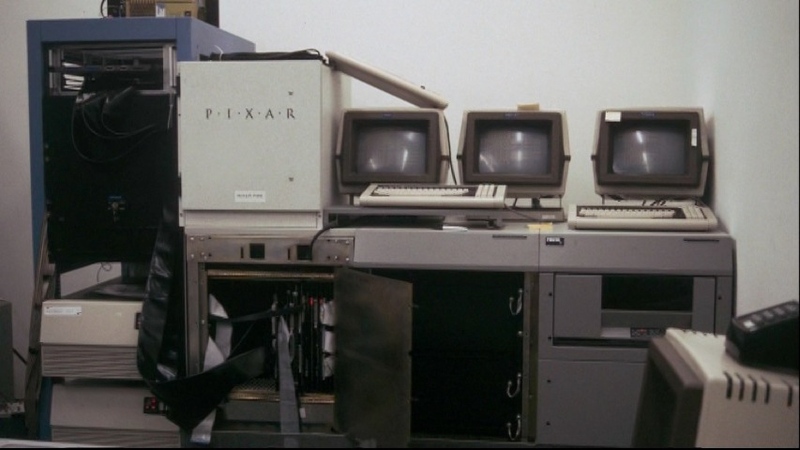 It was at this time Steve Jobs felt it was time to reorganize the company and make big changes (the changes are not really delved into in the DVD in depth, but if you're looking for more details on this restructuring process, read The Pixar Touch. 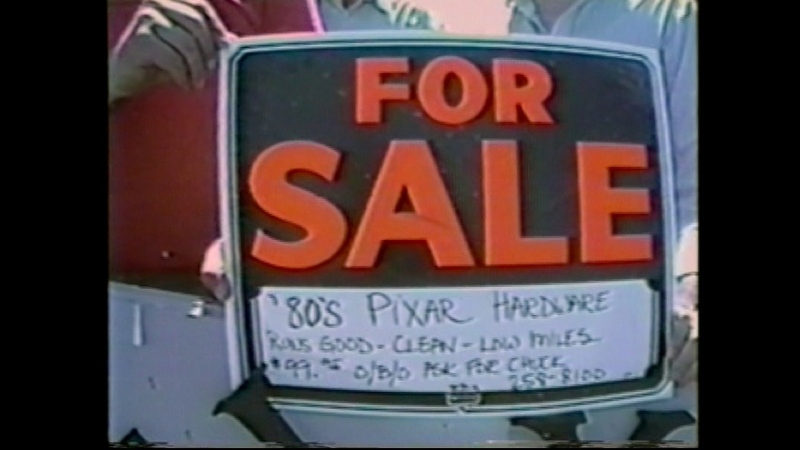 Pixar Animation Studios first started in the TV commercial business to gain more exposure. Peter Schneider (the former President of Walt Disney Feature Animation) tried for the third time to persuade John Lasseter back to the Walt Disney Company. 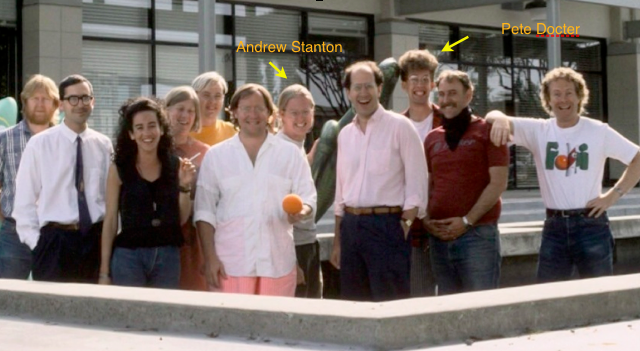 In return John asked Peter to come to Pixar. That's when Peter approached Ed Catmull in regards to an animated feature film. Among the many changes going on at the Studios, Craig Good said he can remember a great memory when he walked into the lunchroom one day and they handed out Pixar Animation Studios T-shirts. "That was such a huge turnaround that I cried" stated Craig. 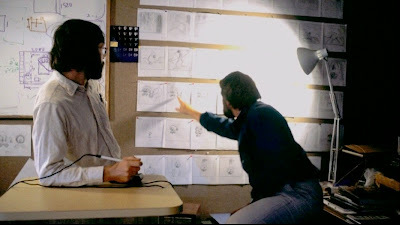 Knowing that the team had gone from working in a cramped hallway to now being a real animation studio was a dream. Ed thought it would be best to start with a half hour TV special, Peter said 'If you can do a half hour, you can do 90 minutes' and Ed said 'OK, I can buy that'. 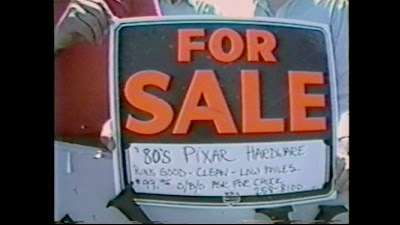 While making Toy Story, the Pixar crew stopped doing short films. 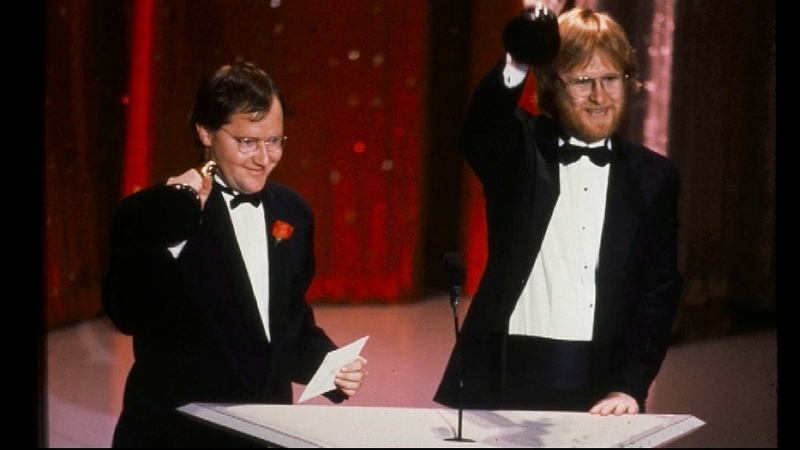 It was Ed and John that decided to start to shorts back up as that's what helped make Pixar who they are. 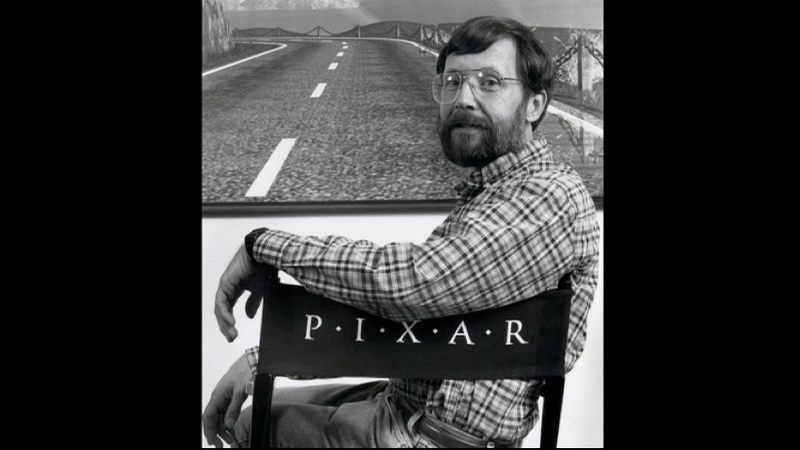 John stated that Pixar will continue to do shorts films since it helped him as an artist and director and he wants to make sure that he gives that opportunity to other animators within the studio. In this fun photo you can see the Pixar Animation Studios crew, including John Lasseter, Andrew Stanton and Pete Docter with a very fun hairstyle! Can you name the other Pixarians?